Apple HomePod smart home speaker: Should I buy this $349 device? Apple's smart speaker, the HomePod, just earned approval from the Federal Communications Commissioner (FCC) a crucial step for every wireless device. But coming more than three years after Echo debuted — and already 14 months after Google Home appeared — it's unclear what HomePod might be able to offer that out rivals its rivals. Announced at Apple's Worldwide Developers Conference in June, the company showed off its $349 smart home device — a clear competitor to the Amazon Echo and Google Home. A slight twist on Echo's cylindrical look and shorter, squatter device, HomePod has already seen pushback on its release date. Apple originally said the speaker would appear at the end of 2017. Now it's promising early 2018. Apple's device is meant to be a powerful speaker — one that also works with Siri and acts as a HomeKit hub. The FCC approval now gives Apple the green light to push forward, and we expect the device soon. But offering a way to play music, get scheduling updates, weather and news are hardly new features in the smart home speaker space. Nor is Siri pulling ahead with better voice capabilities than Alexa or Google Assistant. HomePod is expected to work like a Mac, iPhone and iPad, allowing you to send text messages through the device. At first glance, it's $349 price tag, though, sounds wildly off the mark coming into a smart speaker field where Amazon offers a $49.99 Echo Dot, its miniature Echo, and Google its $49 Google Home Mini, the mini version of Google Home. Yes, Google has its high-end Home Max priced at $399. But this is part of a broader line of products, and meant as a niche offer for those who value high-end sound at its premium. Sound is an important feature — and Amazon Dot and Google Home Mini are never going to satisfy those looking for a rich music experience. But from what we can tell, Apple is offering just one smart speaker option: the HomePod. $349. No mini-version at all. We are talking about a company, though, that sells a $999 smartphone. You can buy an Android smartphone — and a good one — for under $200. But that's not Apple's scene — it's never been interested in the bargain rack shopper. 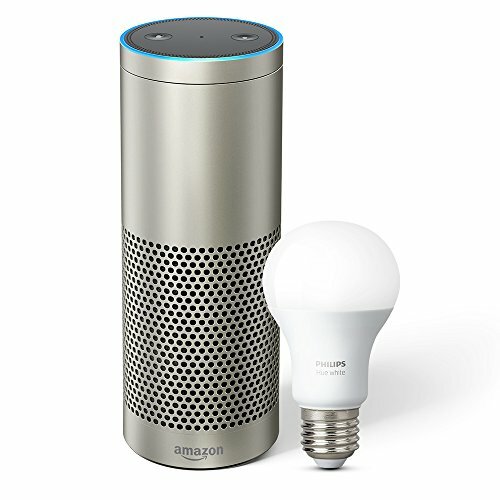 Is HomeKit a selling point? What HomePod does offer is a seamless integration for Apple iPhone users comfortable with Siri and Apple's own smart home system, HomeKit. Amazon doesn't have Alexa naturally integrated in smartphones. Google does, with Android. But Apple users still hop between Siri on their iPhones and Google Assistant or Alexa on their smart home devices. We also don't know what the final iteration of HomePod will look like. Apple is fond of the surprise announcement — where devices are finally shown with bigger, better and splashier features than originally expected. As more is known about HomePod, including when you can actually buy one, we'll know more: We'll know if the speaker is going to be a second fiddle, too-the-late-to-the-game smart home option — or a device that says don't bet against Apple.